The illicit drugs described have a high addiction potential and there is a gradual increase in their intake. 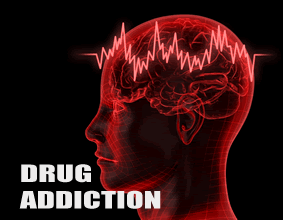 The user gets dependent on these drugs both physically and psychologically . Certain changes occur at the level of cell receptors in the brain. Any attempt to reduce the dose or an effort to stop the drug gives rise to severe withdrawal symptoms which at times are life threatening. Ask yourself the following test questions. Answer them as honestly as you can. (If the answers are 'No' to all the questions, re-answer them with the help of your spouse or the closest member the your family). If you have answered YES to any two, the chances are that you're an alcoholic.